I told the instructor of one group that only law enforcement understood. That wasn’t completely true. My cousin, an artist, has never asked me to provide a motive. I asked that same instructor if she had some motive in mind already, practically begging her to tell me what readers expected me to say that I hadn’t already. She expressed an understanding of how close I was to Patty, that our tight friendship was motive enough. And yet. The subtext during our next conversation was “go deeper.” It’s true more than a month had gone by since we last spoke about it, but that was long enough apparently for the question to arise once again. “It’s still not clear,” she said. If I claim it is just my doing a good deed, it is not satisfying. I wonder how much of our culture of oversharing is responsible for the expectation that if you’re writing about your life, you are expected to turn yourself inside out? The instructor had just finished reading Lidia Yuknavitch’s The Chronology of Water, and agreed that she had gone deep. We are all not as brave as that. If I claim I am a fixer, a rescuer, it is not satisfying. I am trying to come up with a take on it that resonates with today’s reader. Are we not a psychologizing people? It is one thing to admit that maybe I was attracted to other teens because I believed I could rescue them back when I was too young to give the behavior a name. 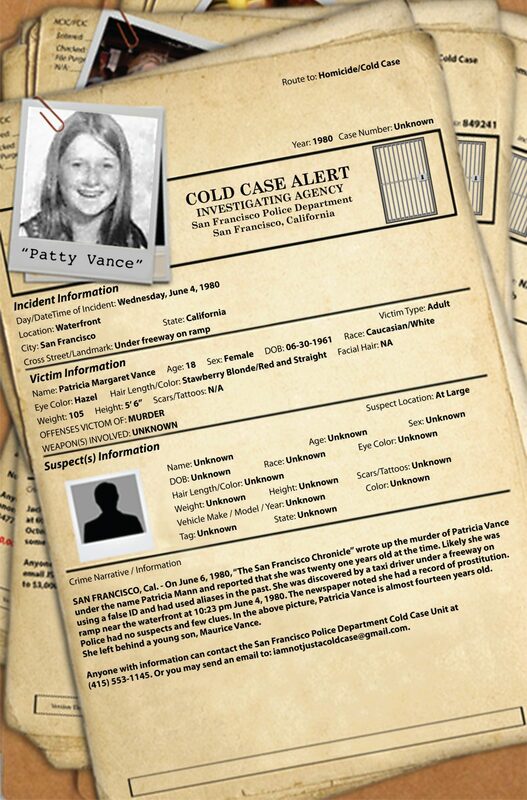 But to attribute my trying to get someone to look at Patty’s cold case to fixing is a stretch. Every writer that is chronicling the true details of his or her life has to decide to what include and what to omit. It is not as though I am consciously skirting an admission, only thinking about what I owe the reader and what I owe myself. Previous Previous post: Whose Story Is It Anyway?